Last year, I wrote an article talking about how shine was everywhere. Well this year, shine is still going strong. 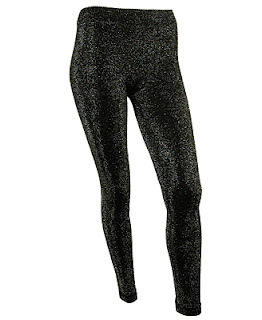 The style of shine that has particularly caught my eye this year though, is shiny leg wear. As I was walking through various different stores at the Westfield Sunrise mall yesterday, I couldn't help but notice that metallic leggings were all over the place. 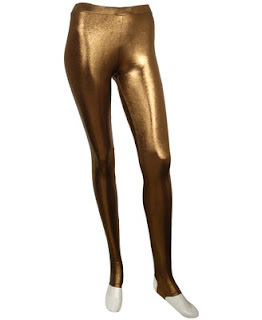 When I got back home, I was inspired to go searching for more metallic leggings online . So, I thought I'd post my finds in this blog. 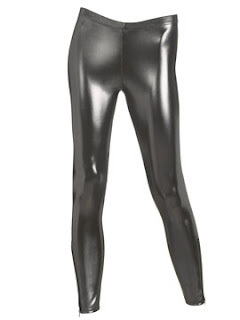 These glossy leggings would be a perfect way to spice up the classic "Little Black Dress". 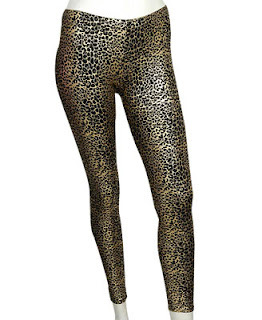 They would also look great under a tunic top. You can even wear them under an over-sized t-shirt or boyfriend cardigan to add a feminine touch to a menswear-inspired look. If you see any other metallics that I haven't featured yet, let me know. Also tell me if there are any other leg wear trends that you would like me to write about. E-mail me at Charmed42787@gmail.com or send me a message on myspace. Keep shining! I just checked out your blog now. Thank you so much for the award! I'm going to work on the tag post and give the award to other bloggers as soon as I get out of school tomorrow. I have been wearing my black glossy leggings quite often lately. I actually have 3 pairs! Nice picks! I'm glad you liked the leggings I picked. 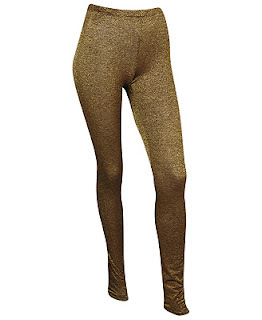 The leggings in your blog look great too. 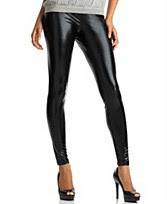 I like how all the black glossy leggings remind me a bit of those pleather pants that were in about a decade ago. It's kind of a nice tribute to the 90's, except I think these leggings are actually more comfortable then those pants were. I think pleather pants could be coming back soon though, as I've seen some selling on the internet. Welcome to My Little Fashion Finds. If you're looking for information about the latest fashion trends, fashion tips, ideas for DIY projects, fashion-related contests, sales, and store openings/closings; this is the place to be! This blog is for non-commercial purposes. I do not own any of the photos used in this blog. All pictures posted here have been linked back to their original source. All photos in this blog are being used for news reporting, educational purposes, and social commentary; all of which are covered under fair use. No copyright infringement is intended.